Home / Politics / DUALE calls for FAT MUDAVADI to be probed over Goldenberg and Langata Cemetery scandals – He is a dirty man. DUALE calls for FAT MUDAVADI to be probed over Goldenberg and Langata Cemetery scandals – He is a dirty man. Saturday September 29, 2018-Leader of Majority in Parliament, Aden Duale, has said Amani National Congress (ANC) party leader, Musalia Mudavadi should be the last person to speak about corruption in the country. 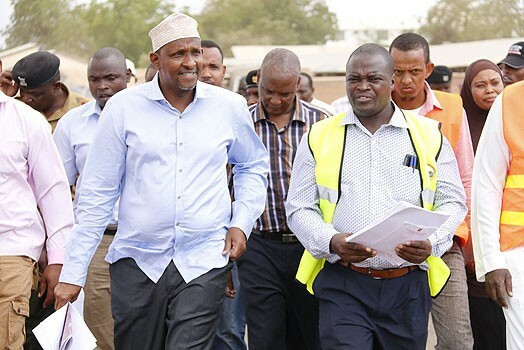 Speaking in Garissa Town on Friday, Duale, who is also the area MP said Mudavadi is one of the corrupt leaders in the country since he has a number of scandals over his shoulders. The majority leader also said Mudavadi has no moral authority to lecture the Jubilee government on how to run state affairs. “It is when Mudavadi was the minister of the helm of the finance minister that the Goldenberg scandal took place. This is the biggest scandal in the ministry’s history to be recorded,” Duale said. “It is also during his term as minister for local government ministry that the Langata cemetery scam happened. Mudavadi should be the last person to lecture us (Jubilee) on how to run the state affairs,” Duale added. He concluded by saying that it was unfortunate to see leaders with questionable character trying to lecture Jubilee on how to run the government.